Welcome to The Sinking, Campaign Serial, Season II. 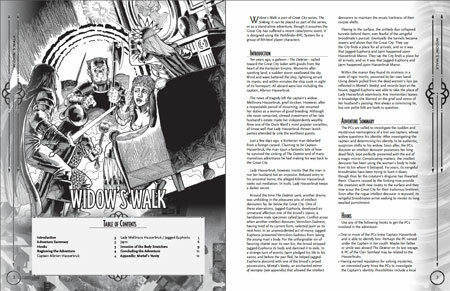 Widow's Walk, written by David Schwartz, is part of an ongoing series set in the Great City. 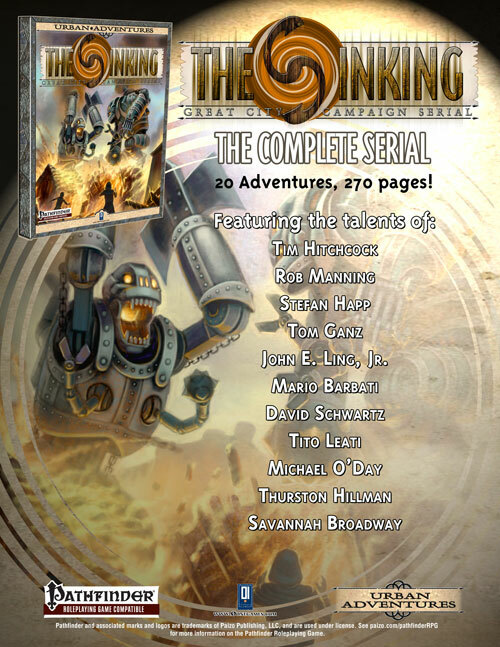 The Sinking is now entering in its final stage as the adventures become more specific, and should be played in a sequence. Each one will be a stand-alone adventure, designed to be played in a single evening’s play. After long several years of disappearance at sea, Captain Hasserbruk has returned home. Yet, the captain’s formerly widowed wife fears something about her beloved husband is not quite right. Fearing an imposter, the PCs are called in to investigate the truth.